The countdown has begun with just one month to go before the South West Coast Path Challenge kicks off in October. The event, backed by TV adventurer Monty Halls, aims to set a new world record for the number of times the Coast Path can be covered in one month while raising funds to protect the coastline for future generations. Hikers on the South West Coast path near Polzeath, Cornwall. Photographer Richard Taylor. 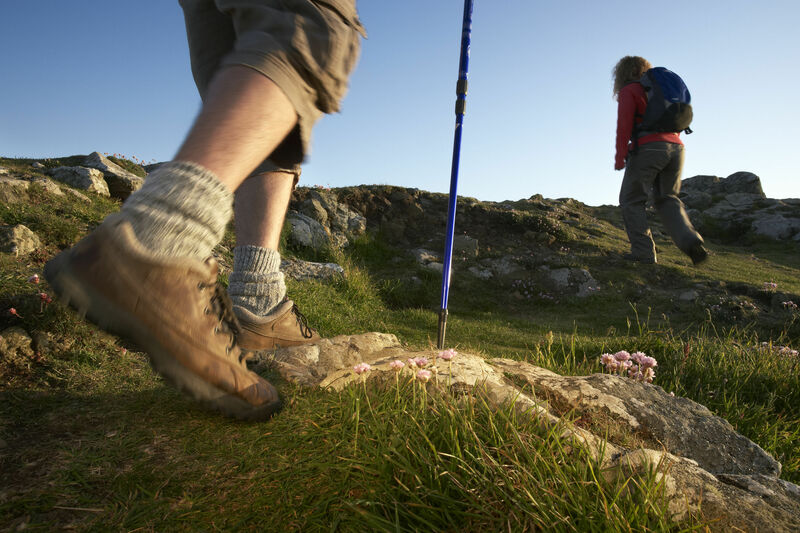 Taking part in the South West Coast Path Challenge month is a great way of spending time with the family in the great outdoors, keeping fit and healthy, while getting a sense of achievement at the same time. Whether you want to tackle a short but demanding section, or take on the whole 630 miles, there’s a walk out there for all ages and levels of ability, and unlike the gym, you won’t have to pay a penny. Be warned, though – it is seriously addictive! The South West Coast Path Association is leading on the Challenge event in partnership with the National Trust as part of its coastal celebrations and to help raise much needed funds to maintain the coastal scenery enjoyed by millions of visitors every year. It costs at least £1,000 to look after just 1-mile of Coast Path and it needs your help. Fundraising tip: Aim to raise at least £10 through sponsorship. Walk 10 miles and get 10 friends to sponsor you 10p a mile! Let us know in the comments below or better still, write a short blog post for us to share.